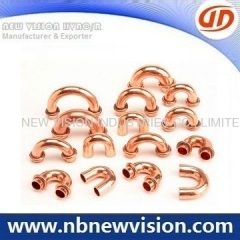 Professional manufacturer in copper pipe fitting, like copper tripod, copper return bend, copper u bends, for condenser, evaporator & heat exchanger. 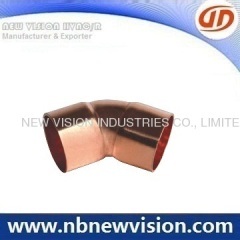 A professional manufactuer and exporter of copper return bend extended ends CxC, used for heat exchanger & plumbing, ASME B16.22 & EN 1254-1 standard. 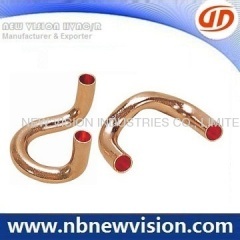 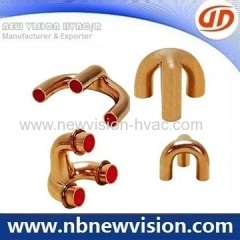 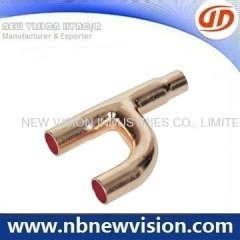 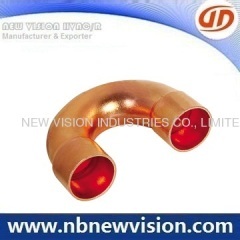 Offering a/c copper fittings like copper tripod, copper u bend, copper return bends, c bend, side open bend, crossover bend & brazing rings available. 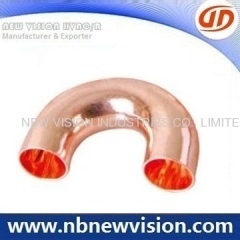 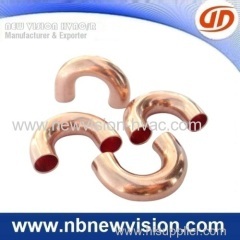 A professional manufacturer & exporter of copper pipe fitting, like copper h bend and y bends, used for condenser, evaporator and heat exchanger etc. 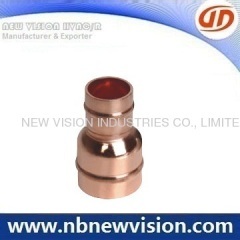 One of the largest supplier for copper fitting - tee, elbow, coupling, as per EN 1254-1 Standard. 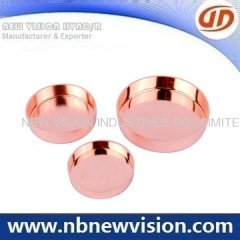 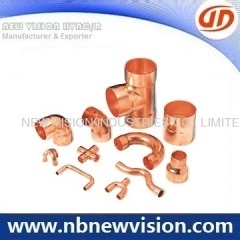 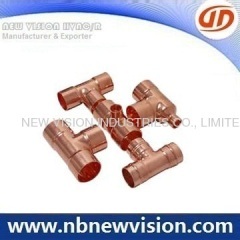 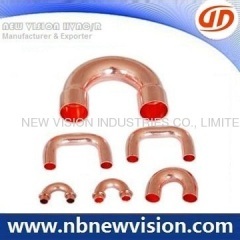 One of the largest supplier for copper fitting - tee, elbow, coupling, adaptor, union, connector, adaptor, cap, U bend as per EN 1254-1 Standard. 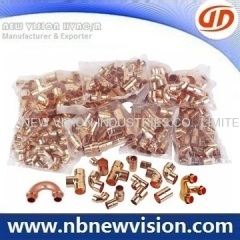 Regular specification: 1/4", 7mm, 3/8", 1/2" & 5/8"
Material: Alloy No. 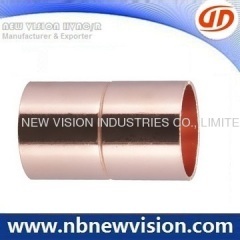 C12200, Cu(%) min 99.9 non-alloy. 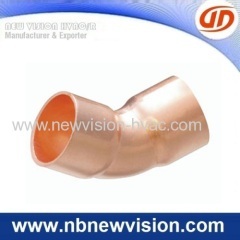 Group of Copper Fitting has been presented above, want more	Copper Fitting and Copper Pipe Fittings, Please Contact Us.